Product #21818 | SKU NC5FP-1 | 0.0 (no ratings yet) Thanks for your rating! 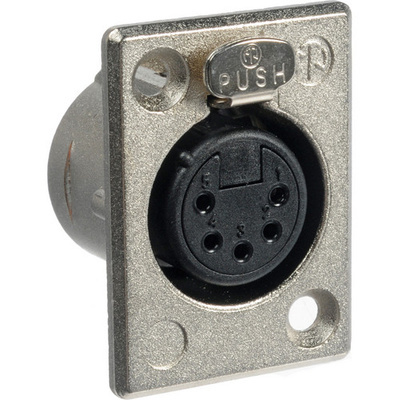 The Neutrik NC5FP1 is a silver 5-pin XLR connector mount used to drive analog stereo audio signals as well as the DMX lighting protocol. Enhanced RF protection and shielding ensures a clean signal every time. Its housing makes it easy to interface with industry standard d-mount dimensions.